The Holwood collection features flush surfaced doors and integral recessed handles, and comes in a broad selection of Oak and Walnut finishes, including oak painted or smooth painted in contemporary colours. veneered or solid. 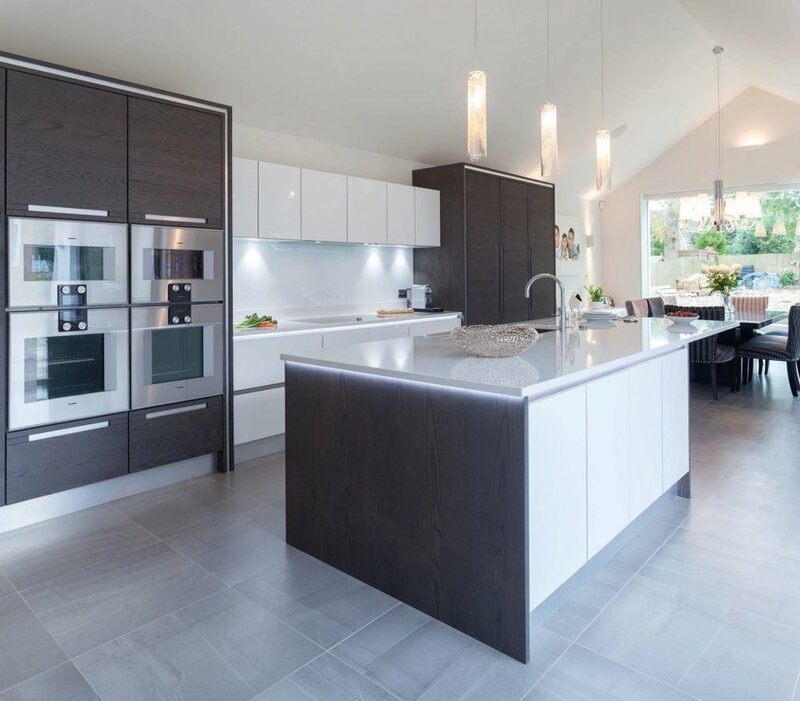 Designed to offer you a breadth of choice to personalise your modern kitchen design, Holwood includes multiple back plate varieties, including Steel, Burnished Copper, Bronze, Macassar, Black and White Zebrano, Oak and Walnut.